Home > Entranceexam > Rajdhani College Admission & Cut Off 2018 - Second Cut Off Released! Rajdhani College Admission & Cut Off 2018 - Second Cut Off Released! Rajdhani College Admission - Rajdhani College is a constituent college of the University of Delhi. The college is located in West Delhi on Mahatma Gandhi Marg, Raja Garden. Rajdhani College Admissions in undergraduate courses are based on Class 12 through Delhi University Centralised Admission Process. Rajdhani College has released the first as well as second cut off list on 19 and 25 June 2018 respectively. 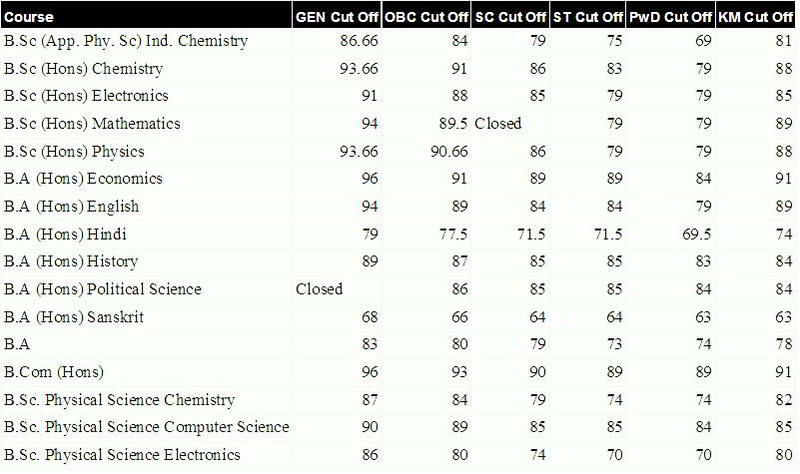 The candidates on the basis of cutoffs released by the Rajdhani College need to approach the college in order to seek admission. On this page, the details about Rajdhani College Admission, courses offered, fees, cut off etc. The Delhi University invites the application for the colleges affiliated with the University. The annual fee for Rajdhani College is now available as per the category of the candidate. The candidates can get the complete list of annual course fee payable for different programmes. The annual fee for each programme offered in the Rajdhani is given below in INR. The candidates can check the table below to get the annual fee of Rajdhani College 2018.